Born from the necessity of bringing modern in the Romanian hospitals’ maternity, last Saturday, on September 15th, took place the second edition of “Maratonul Cetăţii Suceava” event. This marathon was organized by the International Non-governmental Organization, Save the Children Suceava, and came as a collective invitation to adopt a healthy and active lifestyle, and in the same time, raise funds for the prematurely born children. Although the forecast announced light rain for that day, hopefully, nature showed its support and surprised all of us with a sunny weather. Therefore, the big day began in force with over 450 of smiling and enthusiastic participants, who came from all over the country to celebrate life. ASSIST Software, one of the main sponsors, was represented too, by ten brave, big-hearted employees who chose to bring awareness and join the cause promoted by Save the Children organization. 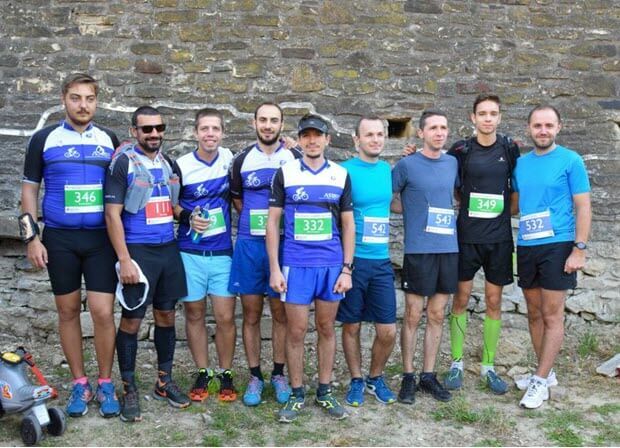 Therefore, ASSIST Software, had representants in all of the three Marathon trails: the Long trail – 35 km, the Short – 22 km and the Popular trail – 4 km. The kids had their special place in the Marathon due to the unique designed trail of 800 meters which took place around the Princely Fortress from Suceava where also were located the Start and Finish line. Due to the International Non-governmental Organization, Save the Children Suceava, all the sponsors, and partners that joined forces and succeeded to organize this wonderful event, a maternity will be equipped with modern medical equipment giving in this way more chances of survival to the prematurely born children.